A modern house is an investment for life. 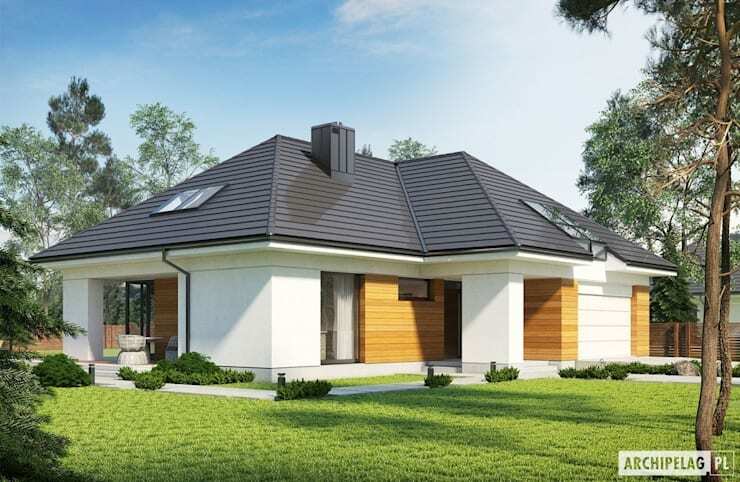 And if you have the opportunity to start designing it from scratch, the architects in tune with the owners can plan how they want the house to be, implementing all the requirements with finesse and style. Whether you want a guest room, a dressing room, a room in the garden or a pool in the garden or if you prefer to install a fountain in the garden. Whatever your ideas are, there is inspiration everywhere, you can get your ideas implemented by our expert architects and designers exactly the way you want it. Let us take a look at the modern houses. This house is a perfect example of how to combine the facade of the house with the green spaces. Not only these areas act as a filter between your house house and the neighboring houses, green areas also help to live in a more purified environment, and attract more birds and animals to create a beautiful picture of natural life. This integration is also achieved through the porch, where the barbecue is located and an elegant garden game. The modern houses are excellent options to have a home in a practical and fast way. A prefabricated house does not mean that it is a precarious house. Prefabricated houses are made from excellent quality and robust models and have a great finish. So basically a prefabricated house is modern house that is quicker to build and ready to move in. This house has wood as the key element and it looks extremely looks stylish and comfortable. 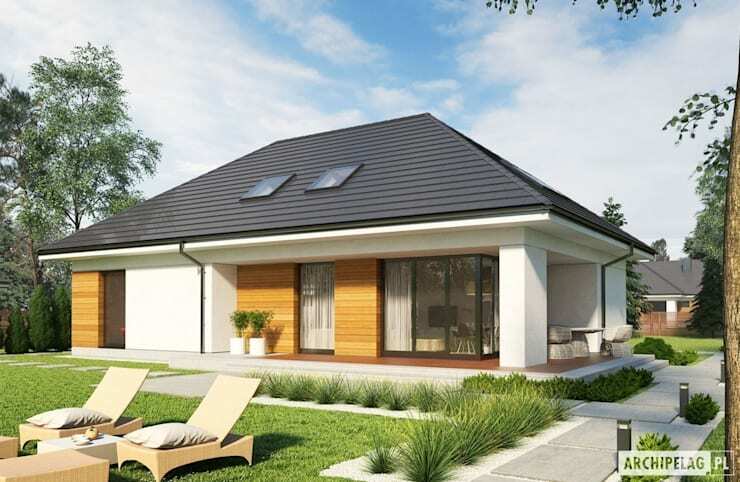 This prefabricated house looks very comfortable from the inside, with straight and simple lines, minimalist furniture, and it looks very easy to clean and maintain. 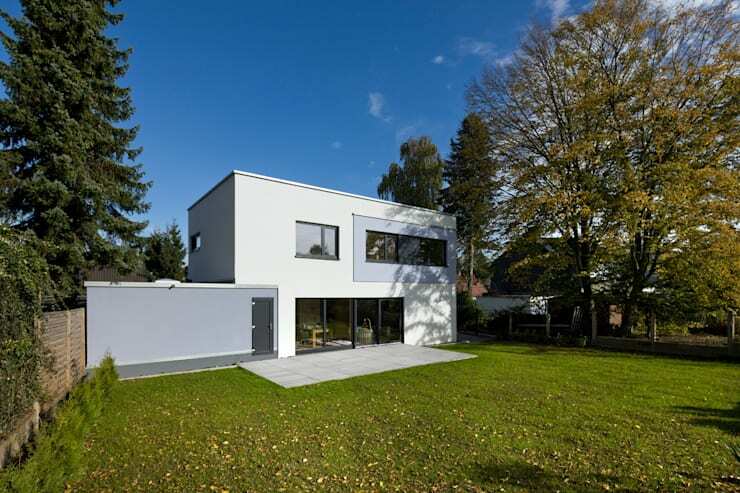 See a marvellous minimalist home for the modern family. 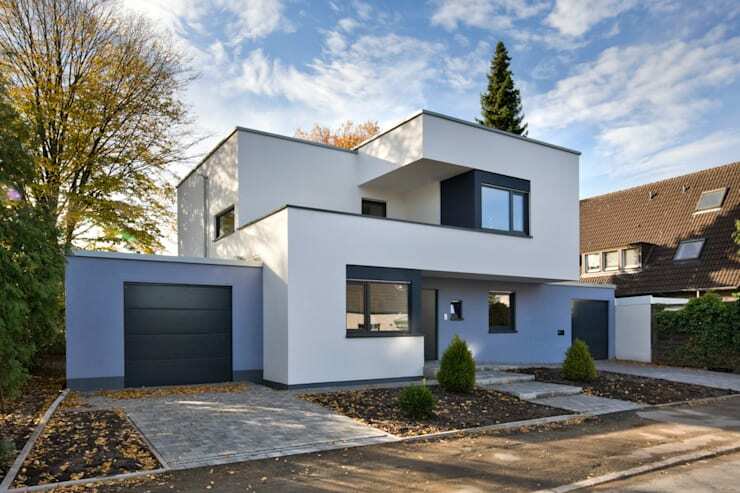 This modern house looks like the classic project of the architecture student, who likes to plan by modules. And it is a good solution to distribute the spaces, where each element is attached to the other, and creates a harmonious set of straight lines, simple shapes, but with an adequate reception of natural light from all corners. In addition, the back part integrates wonderfully with the garden, which is still scarce of accessories, but which can always be planned. The inside of this modern house are very comfortable, with simple furniture and lots of natural light owing to large glass doors and windows. The big backyard opens a multitude of possibilities to have a gazebo or a garden cottage. Here are 9 gorgeous garden gazebos for your perusal. This project reminds the American houses so popular in the decade of the '50s and' 60s, with different entrances and with the exterior windows that integrate the garden with the interior spaces. The installation of skylights in the roofs allows the passage of natural light in the corridors at all hours of the day. Even this house has been developed with sustainable concepts, and was assembled following energy saving guidelines. See this prefab house that will allow you to shrink your carbon footprint. The little chimney on top adds a charm to this otherwise modern looking home. The green carpeting makes the house stand out, yet looking natural. This prefabricated house with cream beige walls and black sloping roof makes a statement from a distance. The use of so many glass windows allows a lot of natural light in the house and create a traditional look. The house stands tall against the lush green surroundings and looks spectacular. 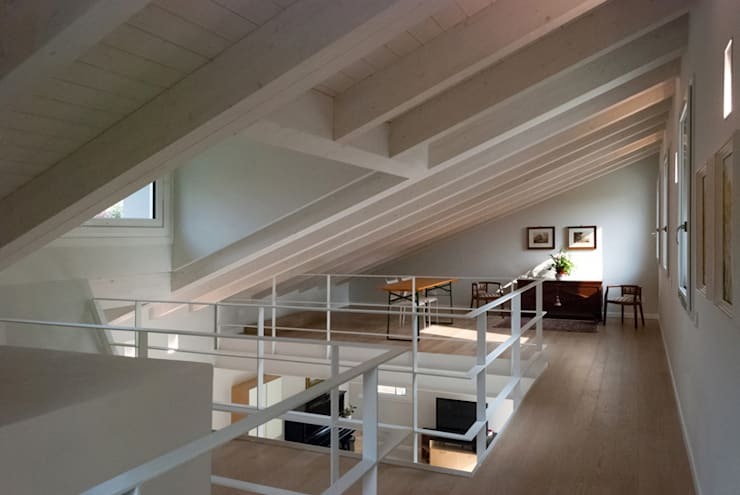 This prefabricated house has modern and quirky interiors, with grey cemented floor, wooden staircase, white walls highlighted by bright colors at places. Lots of windows make the inside of the house look nice and bright and the mismatch chairs add to the quirkiness of the house. Here are 7 playful ways to personalize your living room. This small prefab house is made from wood, and is painted in black making it stand out against the grass that it stands on. 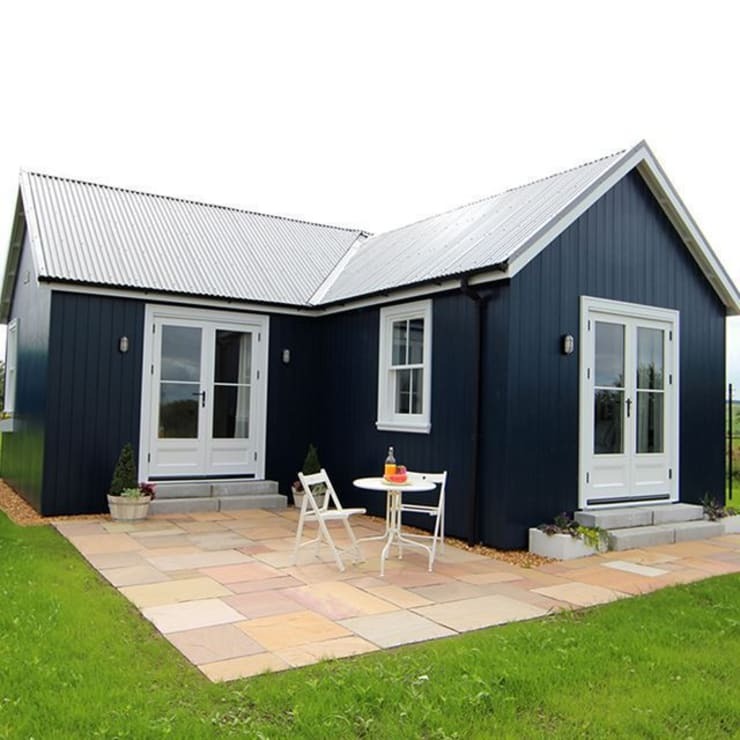 The grey slant roof and white glass windows give a holiday cottage feel to this small house perfect for a young couple. 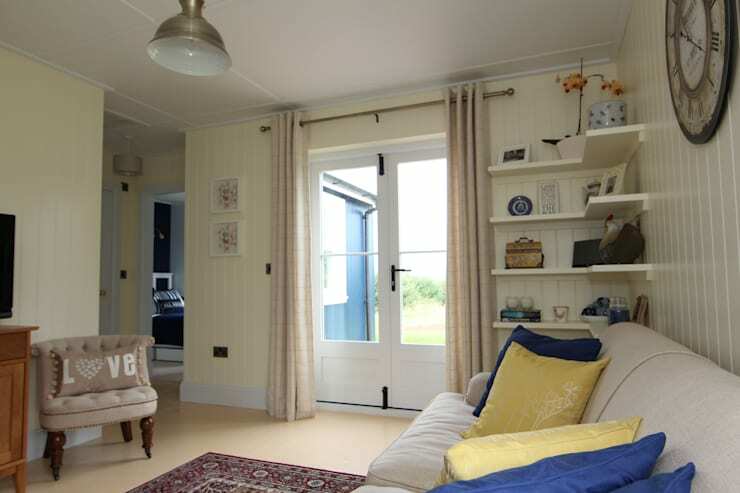 The house has one bedroom and lots of clever storage to make it comfortable and able to meet all requirements. The inside has light walls, light flooring to give an illusion of space, The house has lots of shelves and hidden storage spaces to organize and store things in an orderly manner. The furniture gels well with the light surroundings and does not have any sharp contrasts, keeping the interiors subtle and smooth to spend peaceful time indoors. Here are 9 genius prefab houses that will surprise you. What do you think of these modern houses? Which one would you like to live in?